Contact us at 6945247715 and 6947634197 for your better service make an appointment and let us know when you wish to visit us, how many people you will be and what activities you would like to do. Children till the age of 12 must be accompanied by an adult. Center facilities must be paid in advance. – The use of the sand field for a group of up to 10 people costs 10 € for up to one hour. – The use of the changing rooms (showers) costs 2 €. – The use of fitness equipment (gym) costs 7 € for 2 hours. – Participating in a group program costs € 5 for 1 hour. – Table Tennis (table + rackets + balls included) costs 6 € for 1 hour, from ages up to 10 years old. 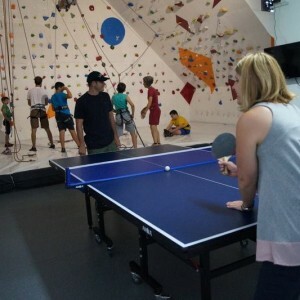 – Using the climbing wall without equipment costs € 7 for 2 hours. -Using the climbing wall with equipment and guiding lessons costs 15 € for 8-15 attempts, 10 € for 3-7 attempts, 4 € for 1-2 attempts, from ages up to 5 years old. – Zip line costs 6 € each jump,from ages up to 10 years old and for weight 28-80 kg. and 10 € for 30 arrows, 3€ for 6 arrows, from ages up to 5 years old. – Sauna costs 6 € for an half-hour session. – Bike rental costs 3 € for one hour in the center’s bike park. – Survivor games cost € 5 for an hour, from ages up to 5 years old. – The charge for staying or having a picnic is 2 €. – Adventure line costs 17€ for one hour from ages up to 10 years old and for weight 28-80 kg. Adventure packet costs 32€ from ages up to 10 years old and for weight 28-80 kg (climbing+Archery+zip line+adventure line+survivor games+ a bottle of water+ juice. 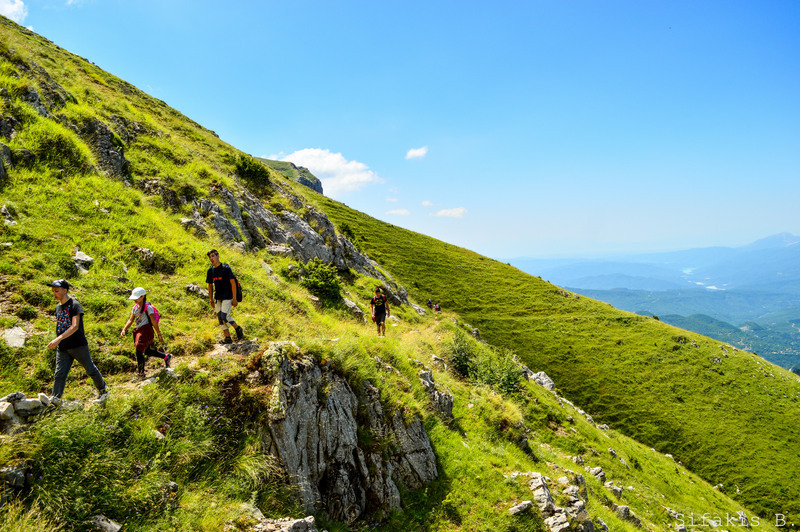 Includes guiding on hiking trails in the forests of “Tzoumerka” in a low altitude untill 1,400 meters. For short routes up to 2-3 hours costs 20 € per person, for medium duration routes up to 4-6 hours 25 € per person, and for longer routes up to 7-9 hours 30 € per person. For medium- length routes 4-5 hours 30 € / person, for long routes 6-10 hours 40 € / person. Includes guiding during the winter season on the higherpoints of Tzoumerka. For medium length routes 4-5 hours 40 € / person, for longer routes 6-10 hours 45 € / person. Includes guiding along dirt roads and paths in the wonderful forests of Tzoumerka at a low altitude untill 1400 meters. For short trips 2-3 hours costs 25 € / person, for medium length trips 4-5 hours 30 € / person, for long length6-9 hours 40 € / person. (You need to have your own bike). Includes guiding on rock climbing routes in Tzoumerka with all the necessary equipment. For a duration of 3 hours costs 45 € / person. Make your own package according to your preferences or follow any of the following packages (minimum number of participants 6 persons). 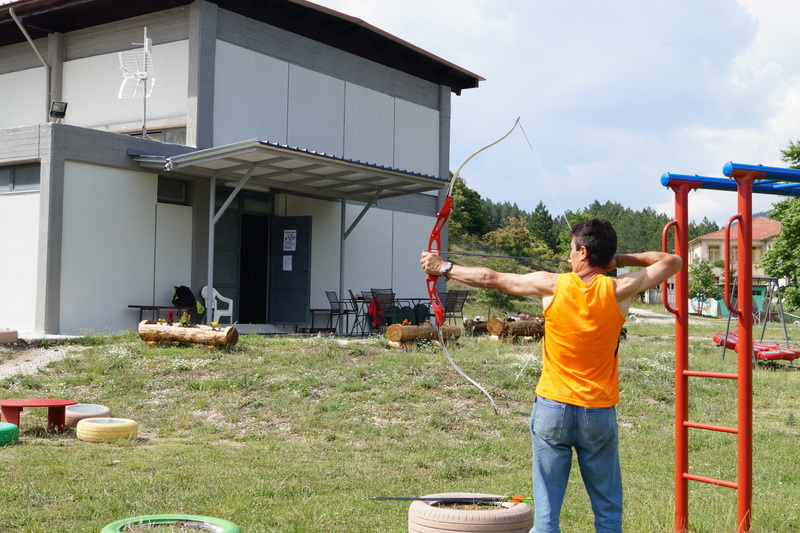 Action 1: Hiking 1 hour in the forest + lunch pack + indoor climbing + archery + zip line + sauna + coffee = 35 € / person, minimum 6 people. Action 2: Hiking 2.5-3 hours in the forest + lunch pack + rappel + indoor climbing + archery + zip line + sauna + coffee = 58 € / person, minimum 6 people. Action 3: Hiking 4-5 hours in the forest + rappel + lunch pack + climbing on the indoor wall + archery + zip line + sauna + coffee = 65 € / person, minimum 6 people. Forest 1: Hiking in the forest for 2.5-3 hours + sauna + coffee = 25 € / person, minimum 6 people. Forest 2: Hiking in the forest for 4-6 hours + lunch pack + sauna + coffee = 33 € / person, minimum 6 people. Forest 3: Hiking in the forest of 7-9 hours + lunch pack + sauna + coffee = 39 € / person, minimum 6 people. 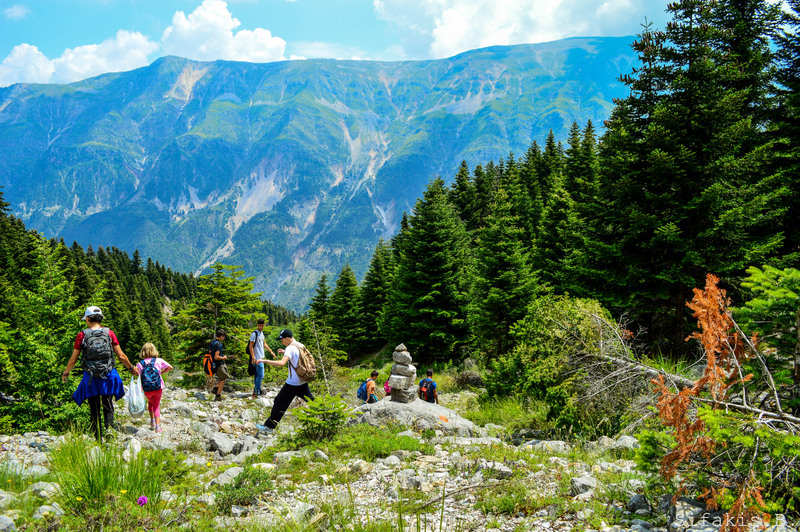 Mountain 1: Trekking to the top of Tzoumerka for 4-6 hours + lunch pack + sauna + coffee = 49 € / person, minimum 6 people. 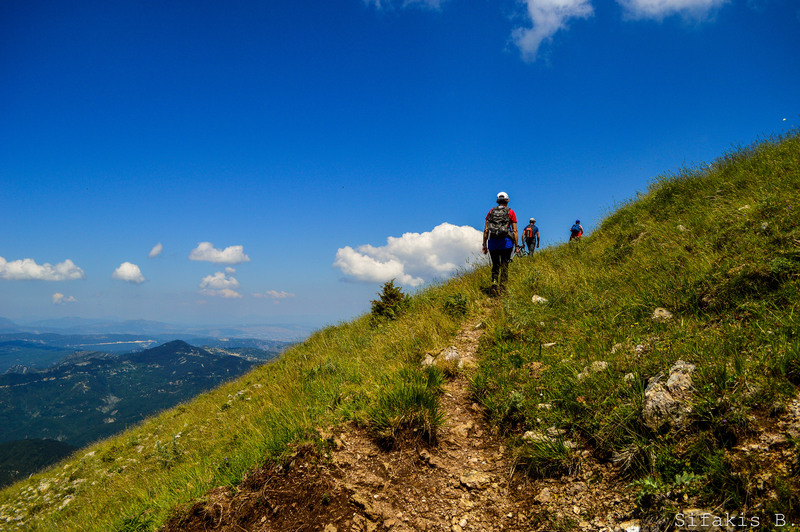 Mountain 2: Trekking to the top of Tzoumerka 7-9 hours + lunch pack + sauna + coffee = 56 € / person, minimum 6 people. Adventure 1: Trekking with some scrambling and reaching the top of Tzoumerka for 4-6 hours + lunch pack + sauna + coffee = 76 € / person (3-6 persons). Adventure 2: Trekking with some scrambling and reaching the top of Tzoumerka 7-9 hours + lunch pack + sauna + coffee = 98 € / person, (3-6 persons). Climbing 1: Rock climbing 2.5-3 hours + lunch pack + sauna + coffee = 55 € / person, minimum 4 people. Bike 1: Mountain biking with a guide for 2.5-3 hour with a support vehicle + sauna + coffee = 33 € / person, minimum 6 people. Bike 2: Mountain biking with a guide for 4-5 hour with a support vehicle + sauna + coffee = 39 € / person, minimum 6 people. – VAT is not included in all of the above packages. – Full extra packet: If needed all packages can be added with a full meal at a traditional tavern costing 12 € / person (minimum 6 people). – The lunch pack contains 0.5 liter bottled water, juice, fruit, toast with turkey and cheese. – We can change the program or even postpone it for another day for safety reasons such as bad weather, road blockings or other serious reasons. – Each customer needs to contact us and after our consultation he/she should bring the appropriate materials and equipment for the activity, according to the weather and the season. – It is necessary for the participants the activities to sign the necessary statement form that they are healthy (the children of 12 years of age or older must be accompanied by an adult ). – The days of activity and the number of customers must be known to us at least 6 days in advance in order to arrange all the details. – The transportation of the customers to the points of activity is not included in the prices.